Undated (ca. 1616) Sommer Islands Shilling. BMA Type I, W-11460. Rarity-5. Small Sails. EF-40 (PCGS). This is an iconic coin of significant rarity, and one of just a handful of Small Sails "Hogge Money" shillings known. We first had the opportunity to handle this piece over 35 years ago in our April 1983 sale of the Connecticut Historical Society where we called it "one of the most important offerings in years." The surfaces show a mottling of silver gray, mahogany and olive green coloring over slight roughness. Some brighter green verdigris is seen in areas. Nearly every specimen known was found in the ground in Bermuda, and this piece is likely no exception. 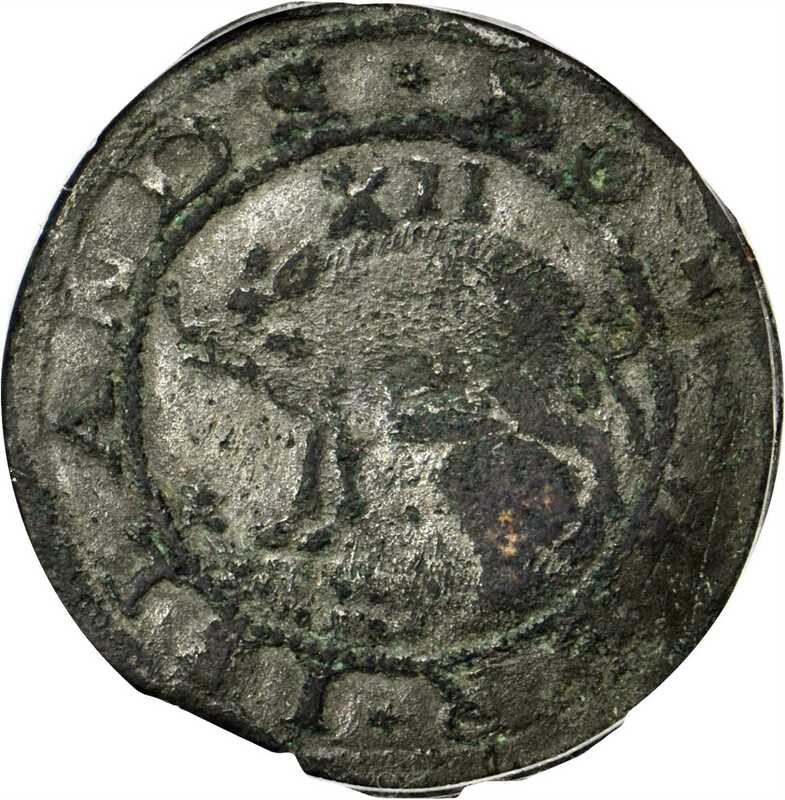 The sharpness is extremely bold for one of these, with a very clear hogge and most of the obverse legends present. The ship is also crisply detailed, with the three sails and most rigging perfectly plain to the naked eye. The planchet is broad and nearly round, allowing for nearly all of the peripheral beading to frame the reverse and most of the beading also seen on the obverse. Though the Small Sails reverse, as offered here, is slightly more common than its Large Sails counterpart, any Sommer Islands shilling is a tremendous rarity. 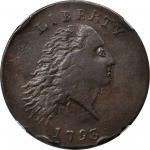 Interestingly enough, specialist in Bermuda coinage Mark Sportack proposes that these coins were so detested late in their circulating life that many were thrown away as useless trash, and the mass deposit found at Castle Island in the 1990s supports this thesis. 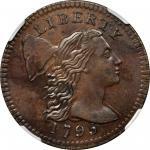 The present coin shows no edge chips, bad dents, or other damage, but is remarkably wholesome, pleasing, and intact. This variety is rare enough and popular among enough different market segments (i.e. Bermudans, Caribbean collectors, British Commonwealth collectors, and American colonial enthusiasts) that its offering should be viewed with great relish, as an exceptional example of this early New World issue.PCGS Population: 3; 2 finer through AU-53.Ex our (Bowers and Merenas) sale of the Connecticut Historical Society Collection, April 1984, lot 2; Ira and Larry Goldbergs sale of the Paul Arthur Norris Collection, September 2002, lot 2; our August 2011 Chicago ANA Auction, lot 7153; Scotsmans sale of October 2013, lot 276.